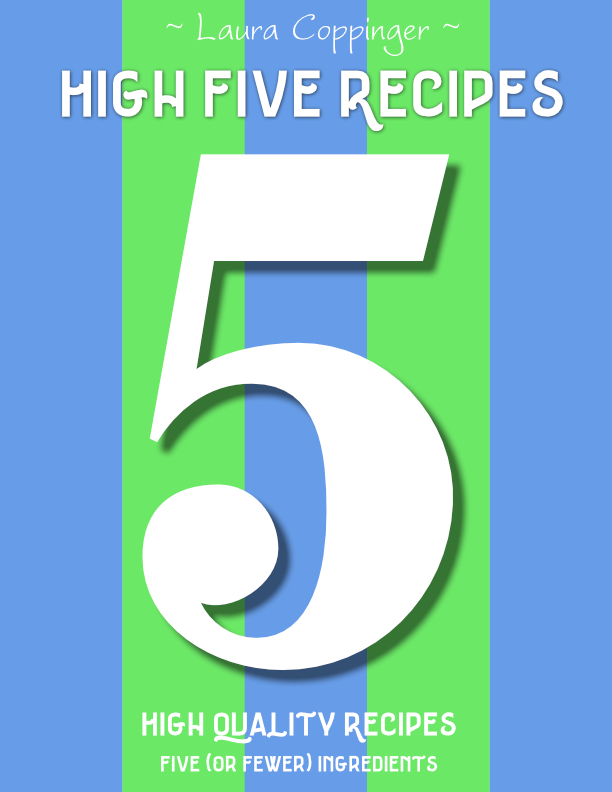 High Five Recipes: 111 Recipes That Use 5 or Fewer Ingredients! Get ready to be amazed! High Five Recipes is going to make your real food kitchen life so much simpler! Feeding your family doesn’t have to be hard! Or expensive. Or time consuming. Or expensive. Oh wait. I already said that. I guess I felt it was worth a repeat, as none of the recipes in this eBook call for expensive ingredients. Get ready to simplify your kitchen life, put easy meals on the table, fill your family with tasty snacks – all while staying true to your desire to feed your family wholesome, real food! You probably already have all or most of the needed ingredients in your kitchen. Don’t you love it when food becomes un-complicated!? What will you do with all your extra time? ?